Founded in 1961 in Rhode Island, we have been a part of that small state's great heart and ever-increasing potential. Now, we have expanded to also serve Connecticut, Massachusetts, and New York. It is with great pride that we share our "Be Local" campaign to make the case to consumers and businesses alike that local businesses are not just important, but an integral part of the success of our communities statewide. We want to see local businesses continue to be a valued part of what life in Rhode Island and nearby states truly is, and see local business owners continue to invest in staying and growing. 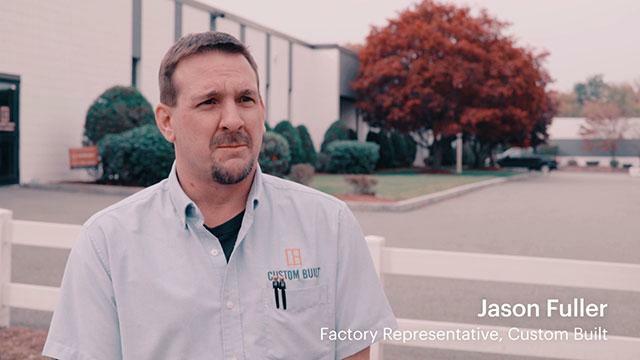 Custom Built's President Johnny Gardner offers his experience in the business and manufacturing world to make a case for why it's important to buy local. All across America, local businesses provide goods and services to their communities, and this is equally true in tightly-knit Rhode Island, where there are more than 96,000 small businesses. Why should you choose to buy from local businesses over national chains that offer similar services? How can you be sure that you're getting products that are made to last? To answer these and other questions, watch the video to the right. Employees share why it's important to locally make what you install, benefits of being built locally, and what stands out about working for a local manufacturer. Manufacturing has played a key role in New England's history, from the Industrial Revolution's beginnings at Slater Mill to the jewelry, keepsakes, windows, and doors that have been designed and manufactured in our own backyard since then. Manufacturers in Rhode Island have also been a valuable part of overcoming the Great Recession, providing jobs to residents and pumping over $1 billion into our economy over the past few years. Watch the second installment of our "Be Local" series to hear from employees by clicking the video to the right. Working with Custom Built means working with a team of home improvement experts who know what to expect season to season throughout all of our service area. 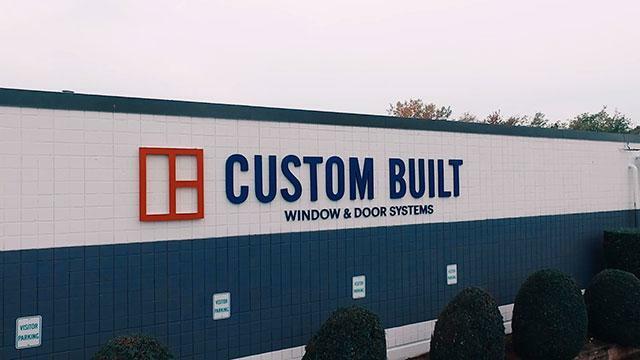 Since 1961, Custom Built has partnered with New England homeowners to help them achieve their remodeling dreams with locally-crafted windows and doors. 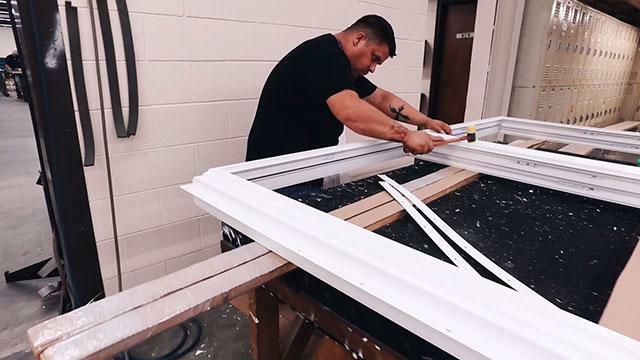 From our beginnings as a storm window manufacturer, we have evolved into a full-service home improvement company, specializing in the manufacture and installation of replacement windows, storm windows, entry doors, storm doors and patio enclosures. From project concept to completion, our team of designers, installation specialists, and craftsmen will see your project through from the first measurement to installation. If you like what you've seen and are ready to get started on your home improvement project in Greater Albany, don't hesitate to contact Custom Built today!